Located in Alt Empordà, it is formed by 8 municipalities: Llançà, Vilajuïga, Pau, Palau Saverdera, Roses, Cadaqués, Port de la Selva and Selva de Mar. It was created in 1998 and it is the first marine and terrestrial nature reserve in Catalonia, with a total of 13,886 hectares, divided into 3,090 of coast and 10,386 of land. There are more than 800 plants catalogued. The park is notable for its endemic species: sea thrift (Armeria Ruscinonencis), sea lavender (Limonium tremolsii) and above all saxifrage (Seseli Farrenyi). Rosemary and Saint John’s wort also grow near the coast. The most common trees are Aleppo pine (Pinus halepensis), cork oak (Quercus suber), holm oak (Quercus ilex), shrubby oak (Quercus humilis) although mastic and scrub occupy most of the surface and the most common are mastic (Pistacia lentiscus), spiny broom (Calicotome Spinosa), prickly juniper (Juniperus oxicedrus), which is believed to be the origin of the name Cadaqués or Cadaquers, and a long etcetera. In the park we also find a wide range of land and sea animals such as the eagle (Hieraetus fasciatus), the peregrine falcon (Falco peregrinus), several species of seagulls, the common shag (Phalacrocorax aristotelis) the snail (Mastigophalus rangianus) which is an endemic species of the park, the common kestrel (Falco tinnunculus), the Catalan small kestrel, apart from the coleopteran and reptiles. As sea animals, the most notable are as follows: the red scorpion fish (Scorpaena scrofa), the grouper (Epinephelus guaza) and the saddled sea bream (Oblada melanura). Some aquatic floral species are: red coral (Corallium rubrum), gorgonians (Paramuricea sp.). 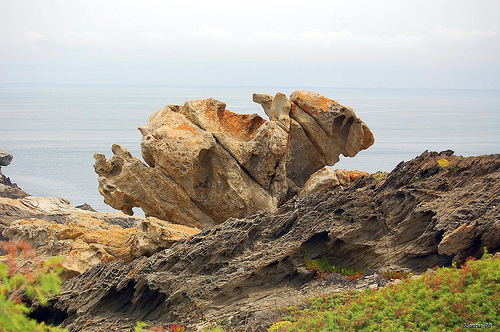 The spectacular geological outcrops are one of most significant features of the Natural Park, which were formed millions of years ago by pressure and high temperatures. The sea and the wind have carved the rocks revealing complicated and surprising forms, mineral veins and folds. The most notable minerals are as follows: pegmatite, schist, gneiss, quartzite and slate. Apart from the rich natural heritage, the cultural heritage, which is scattered all over the area, is also remarkable as it ennobles the landscape. Sant Pere de Rodes monastery is considered a prime example together with the dry-stone huts, the hermitages, the farmhouses, the mines, the ancient cattle-ways, dolmens and menhirs. For all those who wish to experience the Natural Park, there is a broad range of leisure activities such as: trekking, kayaking, scuba diving, cycling, horse riding, angling (except in the integral reserve of Encalladora island), excursions, as well as cultural and pedagogical activities. This is a Natural Park and so there are a number of rules and regulations that must be complied with.
. Releasing or planting non-endemic wild species, whether animal or vegetal.
. Leaving or dumping all types of waste and rubbish.
. Only traditional and recreational fishing is allowed. 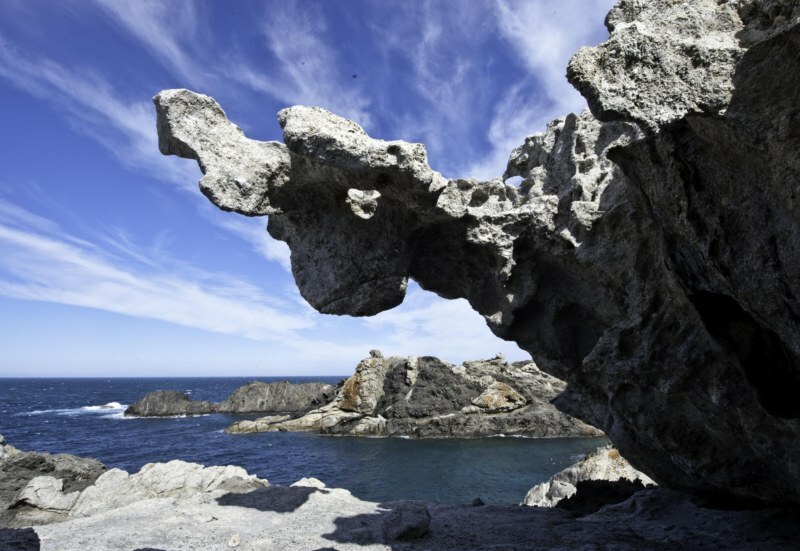 In the Natural Park of Cap de Creus, there are several different protection figures: Natural Sites of National Interest (PNIN), Strick Nature Reserves (RNI) and Partial Nature Reserves. See Law on Cap de Creus protection 4/1998 of March 12. 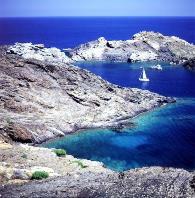 Natural Sites of National Interest includes Cap Gros and Cap de Creus which belong to the municipalities of Port de la Selva and Cadaqués, as well as Punta Falconera, Cap Norfeu which also includes the area between Nans cove and Figuerassa cove, the Rodes Mountain and all the islands and islets within the marine areas of the park. 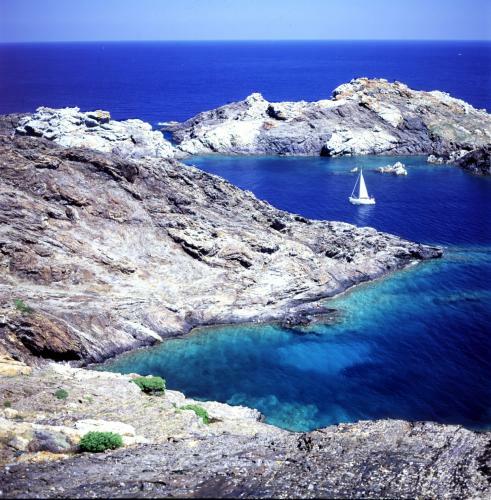 Strick Nature Reserves include Cap de Creus, with Port de la Selva and Cadaqués, the outer area of Encalladora Island and Cap Norfeu in Roses. Finally, the Partial Nature Reserves include the marine areas adjacent to the Strick Nature Reserves which comprise all the marine areas surrounding Cap de Creus and Cap Norfeu. specifically indicated points and tracks. * Only small-scale or rod fishing is permitted, under specific regulation. Those interested in recreational fishing must have a licence which can be obtained either from the Oficina Comarcal SSTT or from Direcció General de Pesca Marítimia del Departament d’Agricultura. It is valid for two years and only two fishing rods per licence are allowed. It is absolutely necessary to have a recreational fishing permit to catch sea urchins for private consumption and only 150 can be harvested per day and per licence. Hunting and fishing permits can be obtained from the nearest Oficina Comarcal del Department d’Agricultura, Ganaderia Pesca i Caça (DARP) in Figueres. For further information consult decree 109/1995 of March 7 on the regulations of maritime recreational fishing.